﻿ Is MIXCRAFT 4 for you? 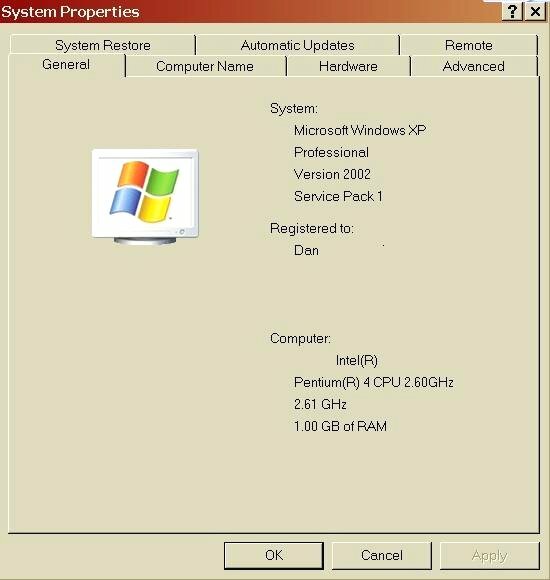 3 Computers were used for this review, a 2.6 ghz Asus Pentium 4 desktop computer ,an Acer Aspire laptop and ,more recently, a 3.1 ghz dual core Athlon 6000. The aspire was a stock aspire with a USB to MIDI converter and the P4 was connected to a decent quality Edirol DA2496 which is capable of 24bit/96khz . The DA2496 has built in MIDI IN AND MIDI OUT and uses an ASIO type interface. 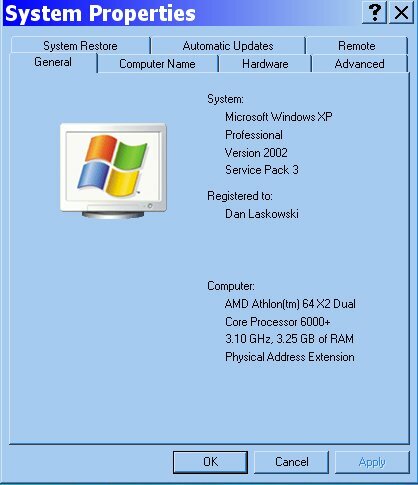 The dual core Athlon was connected to a EMU 1820 DA/AD interface. More than 30 Years go the "sequencer" was born. Back then we were happy if the software could record the PITCH and DURATION of notes in a musical composition.Sometimes all we had as a visual aid was a screenful of numbers. When MIDI came on the scene, we were able to record the SOUND as well and even change sounds automatically with PROGRAM CHANGE commands. Things like Quantization would help us get the timing right. Then Cakewalk and a few others decided to have AUDIO TRACKS recorded alongside the MIDI tracks. Later on, built in EFFECTS ,full control and AUTOMATION of sliders and pan would be standard. As the "sequencer" grew into the DAW (Digital Audio Workstation),so did it's complexity. It became increasingly difficult to find the 1000's of sounds available, the effects used for the production, and the controls to turn all of those things on and off. Then someone decided to add one more thing............grooves. Grooves were small audio snippets of pieces of performances, including guitar riffs, drum rolls , bass runs and many more. "Garage Band" and other similar products make use of these. Looping Engines such as "ACID" would allow musicians to play parts of their compositions over and over or "LOOP" them easily at any speed. So what is Mixcraft 4? Mixcraft 4 takes ALL of the technologies listed above and puts them into one neat package. 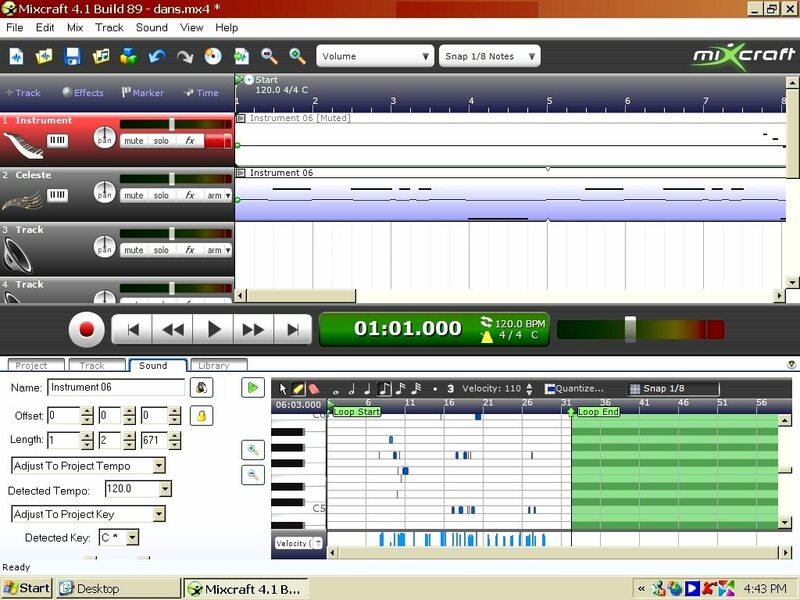 MIXCRAFT is MUSIC PRODUCTION SOFTWARE. You can record with MIDI, or microphone, or use others RIFFS ,change the SOUNDS ,Quantize it, and ACIDize (loop) it, add effects, blend MIDI and audio and grab sounds from a complete sound library. YOU CAN MAKE ORIGINAL MUSIC WITH MIXCRAFT. Best of all, the designers of Mixcraft strove to make the process SIMPLE for the end user. 1)Automatic setup and configuration. A great plus for the MIDI neophite. 2)Pitch shift on the fly ..It is easy to shift the pitch of the included Library as well as change the pitch of custom *wav files without changing the speed. 5)Full library of sounds including fully editable Hammond B3 emulator. I recently nearly broke my back moving an old 70's Hammond organ into my house just to get "that B3 sound". Had I known that I was getting this program, I would have never bought the Hammond. B3 plugins can cost up to $300. So if you use Mixcraft for nothing else, at $79 it is still a bargain. There is also a Minimogue (That's the way they spell it.) emulator which you can also edit. It has 3 VCO's built in and plenty of other knobs and buttons to push including an Arpeggiator. I slightly detuned one oscillator and used the Mogue sound in the ORGAN FUN SONG. You CAN also adjust DX VST effects "FX" while the music is in playback. There are also 2 very nice Grand piano samples included with Mixcraft. There is also a Minimogue (That's the way they spell it.) emulator which you can also edit. It has 3 VCO's built in and plenty of other knobs and buttons to push including an Arpeggiator. I slightly detuned one oscillator and used the Mogue sound in the ORGAN FUN SONG You CAN also adjust DX VST effects "FX" while the music is in playback. There are also 2 very nice Grand piano samples included with Mixcraft. 6)Crossfading is automatic when two waves overlap each other. This keeps some annoying clicks away. 7)MASTER VOLUME CONTROL was tricky to find. No actually it was right in front of me. I was looking for vertical faders but this one was horizontal. However there are no "DB" markings or numbers on it. To fade out I used the ENVELOPE FADING ,on individual tracks, by putting a downward sloping line from the beginning to the end of a section. This is also a way to AUTOMATE VOLUME CONTROL on individual tracks,… by using a VOLUME ENVELOPE. 8) Walking away from the Aspire and over to the old 2.6 GHZ Pentium 4 was easy. Mixcraft automatically recognized and hooked up to the ASIO drivers for my Edirol DA2496. It was even better yet with the 3.1 ghz dual athlon. 9)There are updates almost every month. So it is likely that some of my gripes here will be addressed even before you see this review ! 10)MIDI track setup usually is very easy. Just arm, a track and start playing away with your midi keyboard. There are no complicated routing setups to worry about. 11) Mixcraft is even designed to run on Windows 95 and Windows 98 ! 13)No copy protection dongle is necessary to get Mixcraft running! Acoustica will send you a KEY by email to access the full features of the software. Just type the KEY in and you are off ! You can even try it FREE for 15 days. 1)1)Build Loop and beat matched music. Cut and paste snippets of music or work with the included library. 2)Recording yourself or your band. Audio recording. 3)Build virtual instrument tracks. Using MIDI recording. Now let's take these in detail. Build Loop and beat matched music. This is by far the fastest and most fun with Mixcraft. You choose from the above 3 TEMPLATES , but you can add instrument tracks anytime to an audio template or you can add audio tracks anytime to an instrument template, and you can always add loops from the library. Now let's go deeper. I started off by NOT reading any instructions. I like to see how well the MENUS are set up. Playing with the included loop library brought back the kid in me. Just drag and drop the the "sounds" from the Mixcraft loop library onto the various tracks. Hear the first composition with the attached by clicking HERE I would like to also add ,that MIXCRAFT made it easy to export directly out to the MP3..., basically SAVE AS an *.mp3 !! I could have even used Mixcraft to BURN THIS MUSIC DIRECTLY TO AUDIO CD! Next I tried working with old audio tracks which I recorded a few years ago. Even though AUTOMATIC BEAT MATCHING helps to sync *.wav files together, looping at first was not always as easy as expected. You still need to make decisions about where and how to drop the tracks. Somehow, I thought that an AUTOMATIC LOOPING ENGINE would be intelligent enough to read MY CUSTOM raw drum beats and know PRECISELY where to cut and loop. Even though Mixcraft automatically loops at ZERO CROSSING POINTS , the USER and not the software must make the more specific decision where to cut. With Automatic beat matching ON ,it will take a little longer to mix. I also turned on "AUTO ADJUST PITCH TO PROJECT". This works well if you know how the transpose will effect the chords. Don't always expect to slap 2 totally different songs together and have a musical sound. I must confess ...I am a drummer. I am very sensitive to time and I can hear when a drum beat is just slid over 5ms ahead or behind the music but my theory of the chromatic scale is somewhat lacking. I know that C-E-G produces a Major chord, but that is about the extent of it. Naively, I assumed that Mixcraft could put together 2 pieces from anything and make them into music. HA HA HA ! Recording yourself or your band. The recording controls are much the same as any tape recorder, digital or analog. You have RECORD, PLAY STOP PAUSE BUTTONS. You first begin recording by selecting an AUDIO TRACK and ARMING it. Then click RECORD . When recording using only the laptop with built in Microphone there was an 92 ms delay. Sliding the drum track 92 ms to the left corrected the problem . (Why couldn't MIXCRAFT do this automatically?) Where a single user or group keep adding AUDIO tracks one after another rather than recording the composition in real time as a whole, this process may become cumbersome. 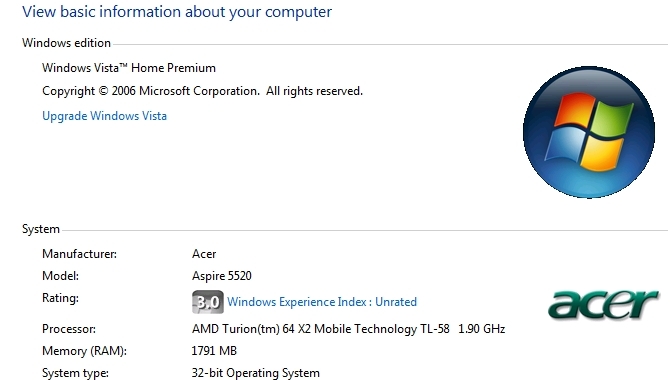 Remember , this new laptop has a dual 1.9 ghz Turion processor. 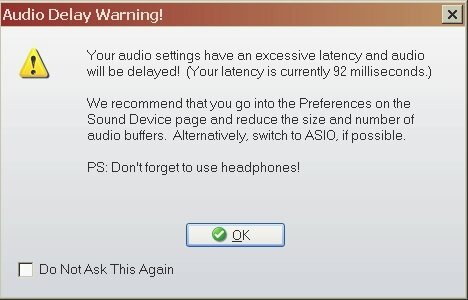 When I moved to the P4 desktop with XP and totally different ASIO hardware , I still get a 92 MILLISECOND LATENCY warning! I reduced the size and number of buffers as suggested by the requester above. Then I could no longer monitor the first track while recording the second. The first track s-t-u-t-t-e-r-ed. In fact, all playback stuttered when I decreased the buffer size. After running Version 4.5 of Mixcraft on my Athlon 6000 with the 1820 audio interface, all of the problems listed above disappeared. ALL OF THEM DISAPPEARED. This may be the hardware or a combination of bug fixes and faster hardware. Nevertheless , there are no more latency issues. Play your music directly into Mixcraft using the MIDI keyboard and MIDI interface or DRAG AND DROP notes onto the PIANO ROLL to make music with midi. Then edit all of it on the piano roll interface. I like the fact that PASTE pastes in a looping fashion, automatically after the last paste. Notes can be moved around the PIANO ROLL with the mouse. However there were problems with measure number correlation between individual tracks and multi tracks. This makes it difficult to keep track of where you are. Wait a minute! I thought I was editing measure # 23 in the PIANO ROLL but in the multitrack window it says that I am working on measure # 53 !!! Ghost notes (already deleted) in the track still show up in gray and will play if you select them to do so. I find this a bit distracting. This may be one of the non-destructive features. Myself, I would like to get rid of the junk and throw it out rather than have a backup of it to work with later. I find that it makes the composition more confusing to work on if there are all of these discarded pieces left lying around. (This is my personal preference.) A little tiny bit of midi keyboard INPUT LATENCY only on my P4 made the keyboard a bit slow with the ASIO drivers for the DA2496. While in Midi recording mode (just because the track was set up to record Midi) I changed one track instrument to Ringmod Sweep. No problem there, but when I went to change the other track to Glockenspeil , it changed back to the PIANO default even though the track info displayed Glockenspeil??? This was using the Acoustica instruments. Then when I changed to the Unity instruments the same thing was happening. Then I realized what was happening. More than 1 instrument was playing on the SAME MIDI CHANNEL. Now where is the control to change the MIDI CHANNEL that I'm transmitting on?? Ok I see. You designate the MIDI channel when you arm the track for recording. Today I realized that COPYING a track was the culprit. EVERYTHING is copied even the channel and there is no way to re-route to another channel. So here is when simplicity hits the brick wall. It makes it easy to set up for the neophyte but limits flexibility for the experienced MIDI musician. Ok but then the next problem came up when I set up to record a drum kit. I ARMed for MIDI channel 10 and selected "Dance Kit" but when I went to hit the keyboard, no sound was heard nor recorded ?? Had I copied that track as well? I noticed that the USB2MIDI had less INPUT LATENCY on the Acer laptop and the sounds responded quickly to the key presses. 1 It would be nice to be able to audition MIDI INSTRUMENT SOUNDS as Mixcraft can audition the samples and grooves...with just a double click. I don't always have my PIANO keyboard connected. 2 Every time I go back to view a loop in the LOOP WINDOW I must again and again again ZOOM IN. Same loop, or different loop it will always default back to same zoom level ,the Mixcraft default zoom level that is... NOT the level I set it to just 2 minutes prior! 3 When I edit one loop the edit will not be on every occurrence of that loop? No. You will need to copy and rePASTE the loops where you want them with the new edit. However, this can work in your favor if you want each loop to be a bit different. 5 Transpose for MIDI would have been nice. I know that transpose can be done by splitting tracks into pieces and transposing each section, but it would have been nice to be able to draw a box (SELECT) an area in the PIANO ROLL VIEW and just click "transpose". Ok. Here is the scoop. I recorded a drum track along with the MIDI tracks and saved copies in 3 different locations, including a network USB drive and USB STICK. 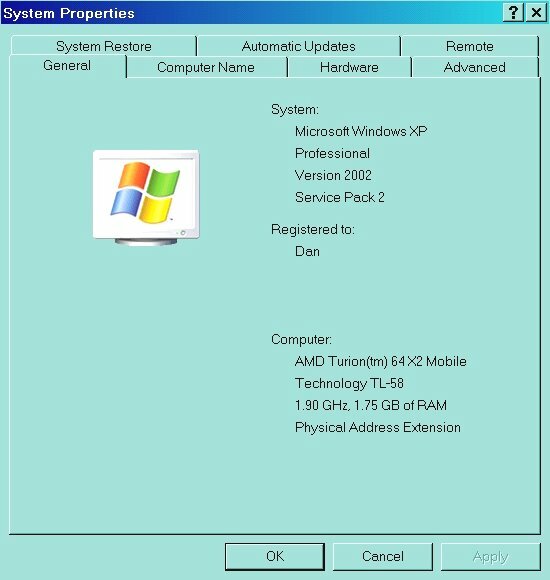 Then I re-formatted my Vista machine for Windows XP. Guess what? Drum tracks are all gone! Oh now you tell me. The *.mx4 file format stores only MIDI DATA and perhaps pointers and effects settings for the tracks but NOT THE AUDIO TRACKS THEMSELVES With Cubase (for an example) I was asked with a requester from the very beginning. "SAVE AUDIO TRACKS TO WHICH FOLDER?" So I realized from the beginning that audio was saved separately from MIDI. Fortunately , I still have both of my hands and will be able to play the drum track over again. So PLEASE GIVE US A REQUESTER or BUNDLE the waves into the *.mx4 file as they do with Sonar/Cakewalk *.BUN files. Finally I mixed some of the MIXCRAFT DRUM LIBRARY with my MIDI tracks. HERE is the MIDI /Garageband type composition. This was also exported easily to MP3 with SAVE AS. A bass track which I imported from the library seemed to start at the wrong point in the loop. I would have liked to be able to ROTATE or SHIFT the loop around so that part of the end could have been tacked onto the beginning BUT without changing the length of the loop. However I eventually found another bass riff which I used instead. The above demo used the POWER BALLAD ACOUSTIC GUITAR, Metal Bass 10 phrase I LOOP and the MIDI Nine inch Nails DrumKit..all included with MIXCRAFT. I'm also using the built in adjustable MIXCRAFT REVERB and a Mixcraft Flanger. Mixcraft is a bargain for the money. Though not strong as an editor, I was able to put all of the music together that you heard in this review. It may have been kludgy but I did manage to get the demo pieces together. Mixcraft shines as a looping and mixing tool and will become an inexpensive favorite for dance clubs. I would like to see more sounds in the looping library though. The FIRST PIECE I put together, made entirely from Mixcraft loops, probably sounds like 100 other "songs" created by 100 other Mixcraft musicians. Of course things can get more interesting if you take sounds from the DISCO library and mix them with HOUSE sounds such as discodan.mp3, for an example. I wouldn't recommend Mixcraft as an overdubbing AUDIO RECORDER ,unless you have a cutting edge, high horsepower computer, because of the latency or stuttering, but the editing functions were adequate for individual audio tracks. Once again , repeating myself ,the Hammond VB3 is the icing on the cake and makes the whole package a real bargain. In the future, I can see myself quickly laying down some tracks with Mixcraft and then moving the project over to Cubase to add more tracks and touch it up. I just recently realized that the computer must be always tied to the internet for mixcraft sounds and clips. Otherwise your music will have no mixcraft sounds while in mixcraft. I also noticed a song that sounded almost identical to mine on the mixcraft website. Coincidence? ......No not really. This is what is to be expected when you use someone else's canned loops. Mixcraft "Power Ballad Acoustic Guitar"
MIDI from my CD "Out of This World"
Dan Laskowski worked with computer music years before MIDI arrived, creating 2 sequencer packages himself. These days you can hear the thunderous sound of double bass drums or loud synthesizers outside of his home while he uses these tools to finally....MAKE MUSIC.